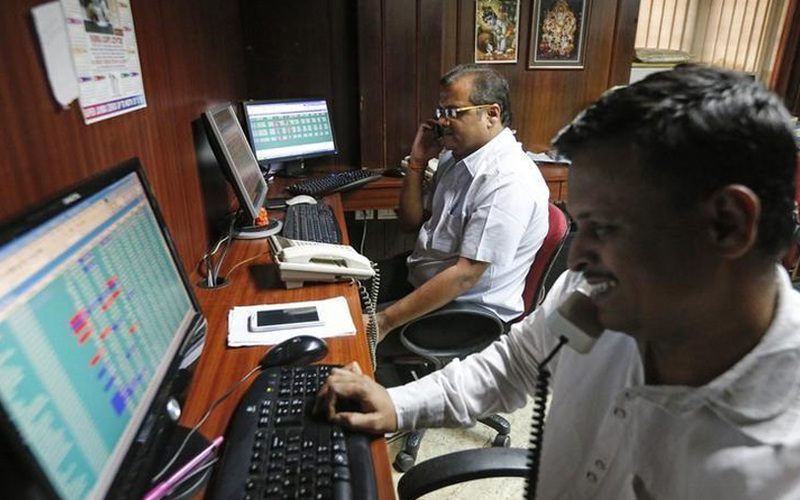 Indian shares ended higher for a seventh straight session on Friday as IT firms gained, while bonds slid on market talk of a potential sovereign ratings upgrade by Standard & Poor's. The benchmark BSE Sensex closed up 0.27 percent at 33,679.24. The broader NSE Nifty ended 0.40 percent higher at 10,389.7. The last time the NSE index rallied for seven straight sessions was between June 12 and June 23, 2015. Both the indexes are up over 1 percent each for the week. The benchmark 10-year bond fell, with yield rising as high as 7.04 percent.